I know in Britain we aren't experiencing much of a summer but coral just personifies summer for me. Before I travelled to Rome this weekend just gone, I decided I wanted a popping orange coral nail colour which would look cute with sandals,I spotted this shade named 'Spicy Orange' from L'Oreal. As far as quality is concerned I love this nail polish. It's long wearing with minimal chipping and only takes one coat to show the vibrant colour. The L'Oreal products in Boots were on buy one, get one half price, I couldn't resist picking up another Caresse lipstick, the shade is 'Dating Coral'. 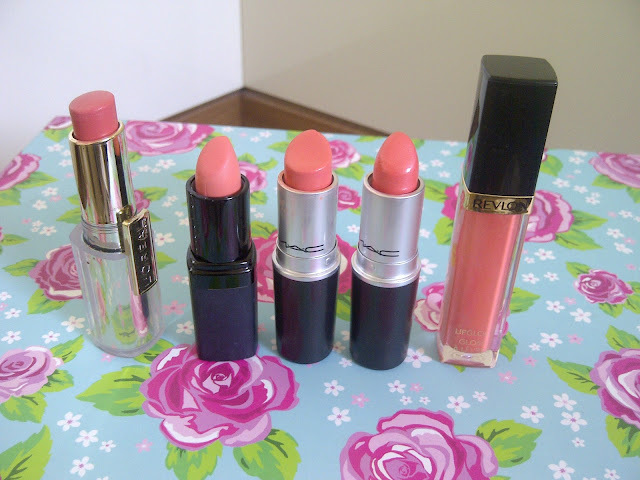 Left to right: L'Oreal Caresse in Dating Coral, Barry M in 147, MAC Ever Hip (LE), MAC Costa Chic and Revlon lipgloss in Coral Reef. Okay, I love coral! As you can see by this picture I have a thing for coral lip colours. I'm currently on a spending ban after the L'Oreal purchases so unfortunately I can't get my hands on MAC's Cut a Caper. 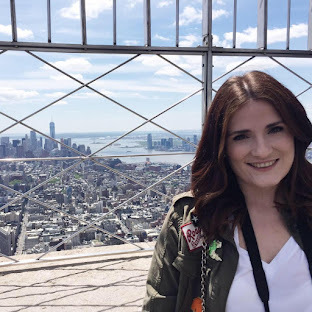 I've heard it's similar to Ever Hip and as you can see do I need another coral lipstick?! What colours are you loving right now? A fan of coral like me, what's your favourite shade? 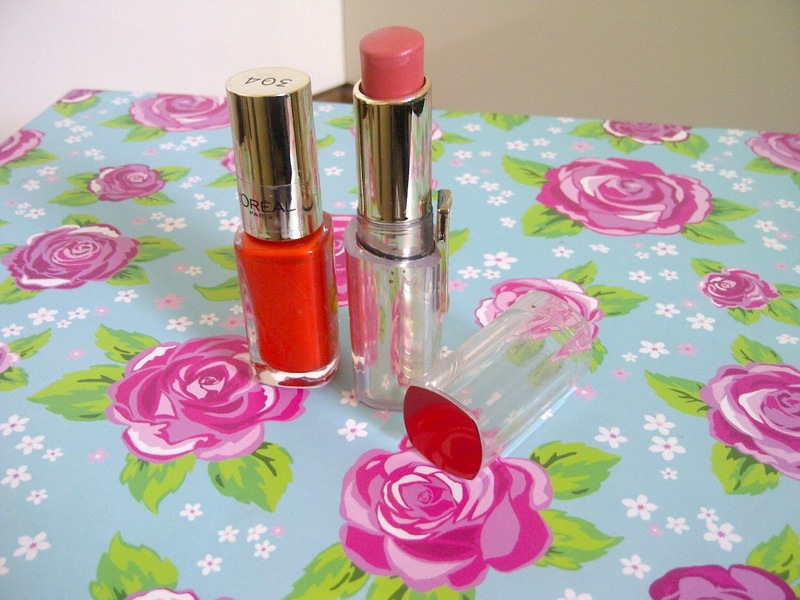 I love the L'oreal polishes <3 I've been looking for a nice coral lippy, you've made me really wat Cut A Caper now if its similiar to Everhip. I looove coral, I want ever-hip soo much, may have to grab cut a caper now! Although I'm attempting a spending ban right now too - boo!